You may have just received a hot new job offer in Perth, or perhaps you want to relocate to Perth to be closer to family and friends or maybe you are simply looking to kick back and set-up home in one of the most remote cities in the world, as travel author Bill Bryson states. Whatever your reason for moving to Perth, here at Budget Self Pack Containers we want to make sure you have the essential information everyone should know when moving to the laidback capital of Western Australia. This will help you and your family quickly get on your feet and feel like local Perthites in no time. Where should you live in Perth? Deciding where to live in a new city is a hard task if you don’t have insider information. Everyone is after something different but typically the deciding factors are your budget, the commute to your workplace and what type of lifestyle you prefer. Rental prices can come at a surprise to many newbies to the city particularly because Perth has been ranked as the 3rd most expensive city for renting in Australia after Sydney and Darwin. Whether you want to live in the trendy suburb of Subiaco or in the bustling maritime suburb of Fremantle (or Freo as the locals call it) your options are far and wide. 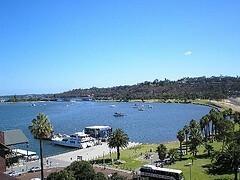 Homely provides some great information on the best suburbs in greater Perth to live in. What's the Perth public transport like? The public train, bus and ferries are run by Transperth who provide timetables, service delays, planned service changes and a journey planner on their website. If you’re planning to use the Perth public transport system regularly we suggest buying a SmartRider card as soon as you arrive. A SmartRider card will offer you discount on your normal fares and there are also options for seniors, pensioners, students, concession cards and more. There are various options for taxi companies in Perth. Swan Taxis are one of the larger companies and can be contacted via 13 13 30 or you can download the app for your mobile phone which is easy to use. What are the Perth shopping hours? Typically store opening hours are 9am-5pm Monday to Saturday and 11am-5pm on Sundays. This does depend on the shop and location, so it always pays to give the store a quick call if you are unsure. Supermarkets typically stick to the above mentioned times, however you will find the local IGA Supermarkets tend to have longer opening hours. Late night shopping is Friday in the city and Thursday in the suburbs. The stores generally open until 9pm on these days. What are the Perth emergency numbers? Tune into @TweetPerth for info on events, frequently asked questions and anything related to Perth! If you have a question, jump on twitter, tag @TweetPerth with your question and hopefully they’ll retweet your tweet to their network of 47.4k followers. If you enjoy eating out, start following some of the popular Perth foodie bloggers like Foodie Cravings, Perth Munchkin and ChompChomp (gluten-free focused) for great spots to dine. Yelp Perth will not only help you find the tastiest restaurant in Perth but you can also search for local businesses in specific suburbs. Whether you’re looking for a cardiologist, a mechanic or financial advisor, the Yelp database will help you get a head start on your search. Hopefully we have helped you begin settling into Perth life and we have no doubt that you’ll enjoy living in the city of Perth as much as we do! When planning your move, make sure to check out our services here at Budget Self Pack Containers. We can offer a cheap, safe and secure way to move your valuables and entire house without the stress and huge expense. Keep the money you save by using our services to check out Perth’s hottest attractions, restaurants and shopping malls!